Don’t you wish you could convert every customer who left your site mid-way, abandoned items in the shopping cart or filled up the details but never came back to the site? This is the truth of today’s online world. With everything available on the fingertips, not much holds the attention of the prospective buyer. Remarketing helps to get these customers on-board. Remarketing is essentially a type of technology that shows your advertisements to people who have previously visited your site/page, engaged with your site on some level or checked out your app etc. It tracks the customer and shows them ads related to the product they checked out or your brand message. These ads are shown when they visit other sites, Google, blogs, watch videos or even on social media. Remarketing can help target people who have visited your site in the past 30-90 days. This acts as a reminder to the person who left your site and convinces them to come back, thereby reinforcing your brand message, offers etc. Remarketing is important because a customer does not convert at the first time. Many customers like to look around, compare prices and then decide which one to buy. According to statistics, 96% of visitors leave without converting, and 49% of visitors browse a site 2-4 times before they make a purchase. So if we are not retargeting them we are potentially leaving the chance of converting 45% of the audience who are interested in buying. That is a lot of leads. Currently, two major companies offer remarketing – Facebook and Google Adwords. 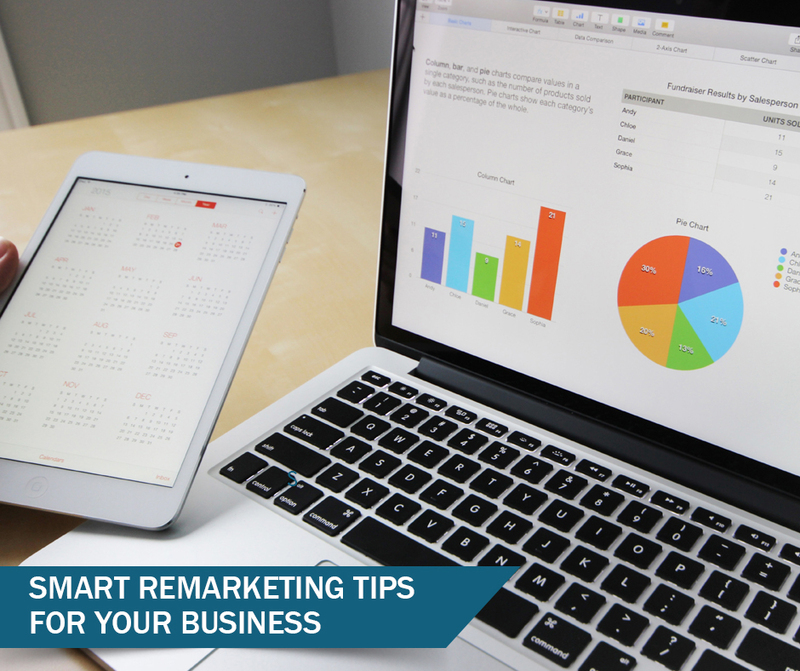 Here are a few tips to make the most of your Remarketing budget. Try different ads and offers for customers at different levels in the sales funnel. So a person who just browsed around would see the range of products, but if someone actually added some products to his cart, he will be shown an offer specific to that product. This way the customer is reinforced that this requirement can be fulfilled by your brand. Facebook offers remarketing opportunities for past page visitors, website visitors, engaged audience and Instagram audience. Adwords offers a remarketing option for individual page level like a shopping cart, landing page, offer page etc. Use both to draw your customer from various channels and at various levels. If a customer is not converting after seeing your offers or the range of product, it could be that he is still undecided or hesitant for some reason. If the customer continues visiting your site or has visited the site more than 2 times, it shows that he is still looking for what you are offering, try making it educational or interesting. For eg – Offer an e-book or a webinar that talks about your core products and services or talk about some event that your company is hosting. These will help the customer sitting on the fence understand your brand better and connect with it on a deeper level. It also seems less threatening as the customer isn’t locking away his money but gaining knowledge. Usually, if a customer has bought something from you, he is more likely to buy again. This customer is the low-hanging fruit. Once a person buys something from you, he is tracked for around 180 days. This offers you a great opportunity to retarget the customer with some cross-posting offer. If someone has brought a basic plan from you, offer them a free-trial of a higher version or give them a limited period discount that will top-up their existing services. If you are selling a product, offer a product that is related to it at a discounted rate or a combo. This way the customer remains engaged with your brand and is more likely to buy in again. Remarketing to a customer should vary based on the sector that you are in. Depending on your sales cycle identify the median time that you should follow your customer in re-targeting. Google by default gives you a period of three months. However depending on your sales cycle you can change it to 30 or 60 days. Similarly, Facebook captures and stores data of up to an year, but if you are in retail, remarketing for such long duration does not help. Focus the audience range based on your industry. Similarly, Frequency capping is another thing that you need to focus on. Frequency capping is the number of times an ad will be seen by the customer. Depending on your industry and offer – try increasing or reducing the frequency. For eg: If you have a limited period offer, run it on maximum frequency, however if you are a business developing long-term relations with your customers, try running on lower frequency as this will act as a brand reinforcement for the audience. Though you are retargeting your engaged or past customers you will not know what every individual customer is looking for. So test your advertisements to understand and glean what your audience is looking for. Try changing the message. Once an advert is running successfully, seeing the same message, brings in ad fatigue which will bring in a dip in engagement or conversion. Change the message, CTR , Budget and landing pages to identify different customer response.